Produced from 1947-1952 the Two-Cylinder Letter Series Model “M” Tractor was new from the ground up and featured an innovative integrated farming systems approach. A total of 45,799, gasoline, 2-cylinder models were built. The M had been in development for several years during World War II prior to its introduction in 1947. The M replaced the H, L, and LA models. The new “Touch-O-Matic” hydraulic control system mounted in front of the seat enabled the operator to raise, lower and adjust implement depth with one-touch control. The one-person “Quik-Tatch” implement system provided fast, efficient hitching that rivaled, and in many cases surpassed, the efficiencies of the 3-point hitch. Operators simply had to back up to their integral implements, insert one or two bolts and drive away. A new adjustable air-cushion seat with backrest and adjustable steering wheel offered modern operator comforts. PTO and electric starting were standard features. Before this new tractor could become a reality, there were some challenges to overcome. First, in the midst of World War II, the U.S. War Production Board disallowed new product production in lieu of military production. Both the John Deere Waterloo and Moline factories lacked the capacity to handle the new line. This prompted JD to acquire 750 acres in Dubuque, Iowa, to build a new factory. The new Dubuque Tractor Works opened in the fall of 1947. 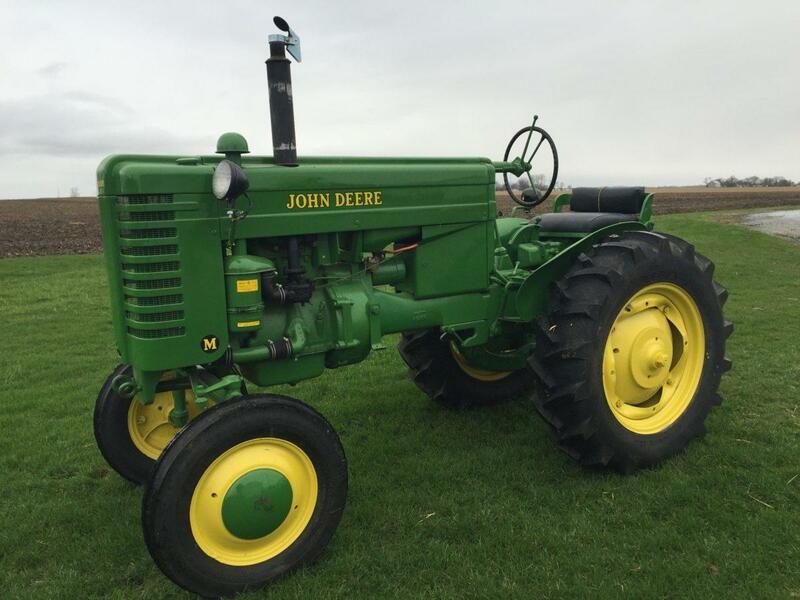 The first John Deere Model “M” Tractor, serial number 10001, was shipped to the Arizona ranch of Charles Deere Wiman on April 1, 1947 at his request. By the end of production in 1952, nearly 88,000 “M” Tractors – including variations such as the “MI,” “MT” and “MC”- would find their way to farms, fields, orchards, and construction sites.